Each Friday in October 2015, we will have 50% off all clothing in store. On Saturdays we will again have 50% off all clothing and spot specials on various sections within store. Mark us on your calendar and plan to visit sometime in October. New stock on display daily. Address: Ross Smith Crescent, Scullin ACT 2614 (next to the doctor). Open: 10 am-4.30 pm Monday to Friday, and 10 am-1 pm on Saturday. I have volunteered here for the last ten years (so I am not paid to say this) and I constantly hear customers say we are the cheapest in the Belconnen region. We offer a great range of children's and adult clothing, bags, shoes, kitchenware, manchester, books, toys and bric a brac at affordable prices. By Ms Frugal Ears: who writes about frugal and simple living, parenting and low-cost recipes. She is a compulsive op-shopper, even when trying to declutter and embrace mindful minimalism. I love op-shopping. Okay, perhaps I am a bit obsessed. And I have always wondered how charity shops manage the sheer bulk of donations that come in. How do they stock a store so that everything is neat and ordered? How do they price items? 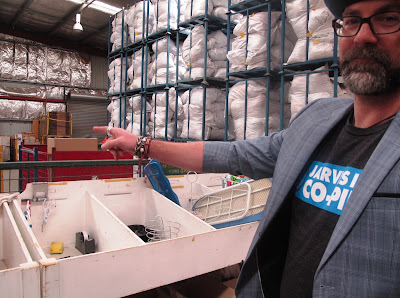 So I was thrilled to participate in a behind-the-scenes tour of the Mitchell Distribution Centre of the St Vincent de Paul Society (Vinnies) along with fellow I Op Therefore I Am member The Shopping Sherpa. Our tour guide was Gary Crowder, Area Manager for the Mitchell Distribution Centre and Dickson Centre; which encompasses the full time management of the warehouse. He didn't look like he worked in an op-shop. Well, I don’t know what I expected but I am used to being greeted by kind older ladies. Gary is ex-military, a snappy dresser and clearly good with logistics. When we saw the scale of the operation, we realized why his ex-military skills must come in handy. 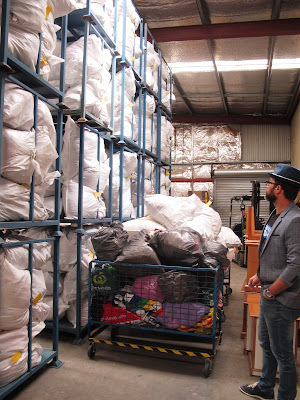 Vinnies Mitchell handles three units: a retail shop, a sorting facility and a service unit. 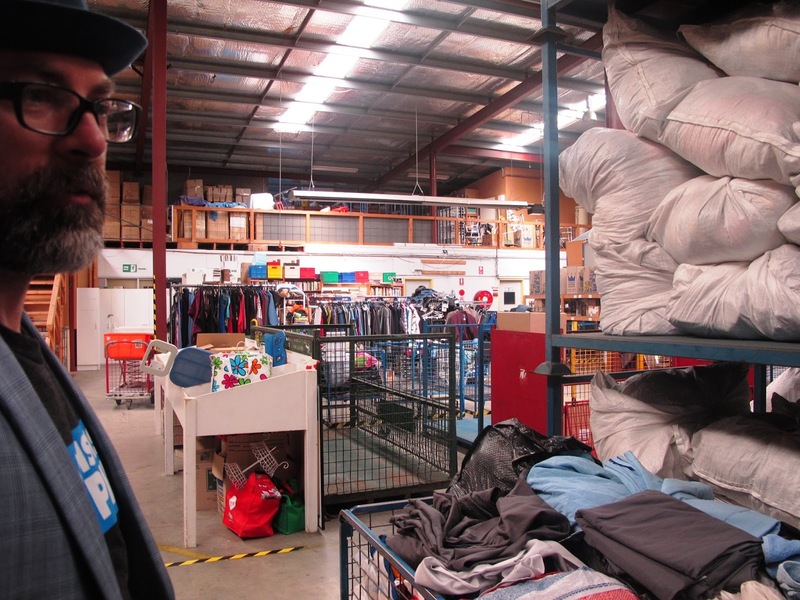 The Mitchell facility is responsible for sorting donations for five Canberra stores to include Mitchell. 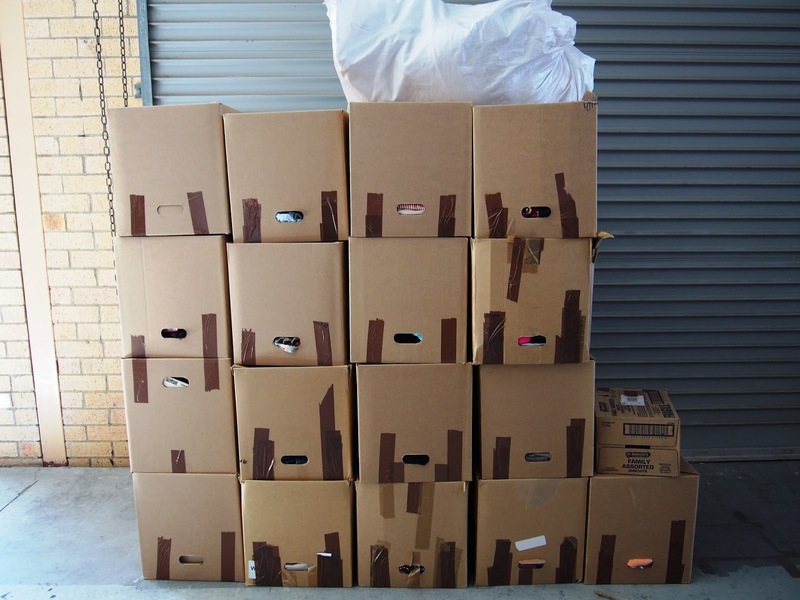 Belconnen and Tuggeranong stores do a certain amount of self-sorting, but none of the other stores have the facilities to process all donations themselves. Vinnies trucks visit the stores on Mondays, Wednesdays and Fridays, and service the general public on Tuesday and Thursdays. You may not realise that there is a retail outlet in Mitchell. I didn't actually know there was one before our visit. It is hidden in a side street behind some adult establishments, one street back from the Salvos op shop. 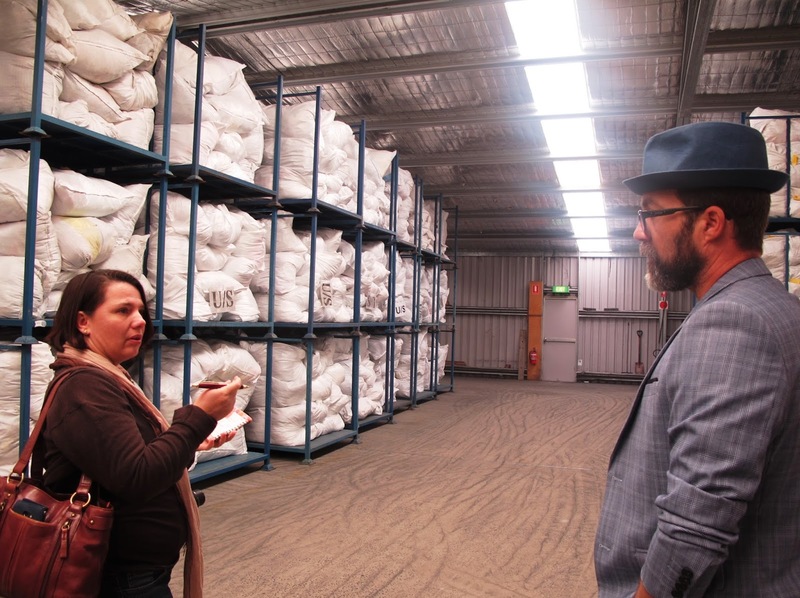 For several years it was not open to the public, operating only as a sorting facility and warehouse, but it re-opened for business a few years ago. The sorting centre receives bags containing up to 15 kg in unsorted donations from its stores. 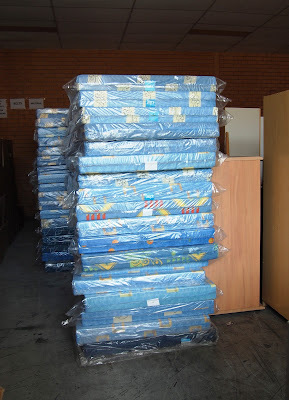 These are stored at a shed on its premises until the bags are sorted (more on that to come). Vinnies Mitchell workers are able to sort between 100 and 120 bags per day. They also receive other donations from drop-off bins and centres, including at the Mitchell centre itself. 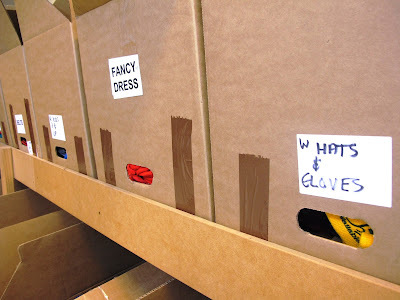 Wearing gloves (cloth or vinyl gloves – not latex as some people have allergies), workers open up a bag and then sort into three piles: A-grade (shop stock), B-grade and items unusable (rubbish). Vinnies has a ‘ban list’ of products that it is prohibited from selling, or that it is unable to sell (e.g. it does not sell electronic items). Most items are good quality, but some bags contain soiled or dangerous items. Vinnies policy is that if the bag smells funny or does not look safe, dispose of it. Safety of worker is paramount. A-grade items are placed in either a blue or a white laundry basket, depending on whether the items are suitable for winter or summer clothing. 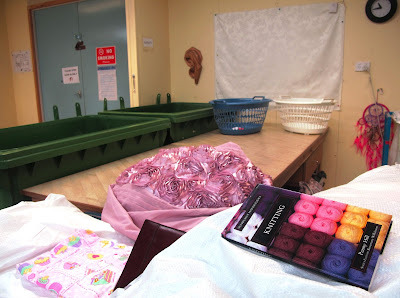 When they are full, the A-grade baskets are then taken to another section of the sorting area, where they are sorted into labelled boxes. 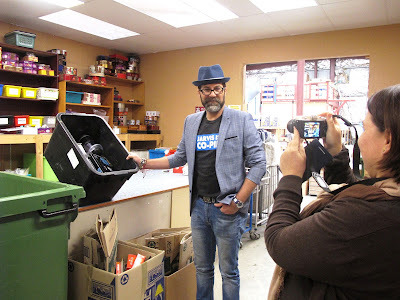 I was amazed at the effort Vinnies put into packaging items according to category, for example men’s ties, women’s belts, women’s vests, women’s dresses, children’s toys and so on. This system means that it is easy for shops to place an order when they are low on a certain type of item: for example they can request more women’s summer t-shirts and a box is easily located and sent to them. B-grade items include clothing that is faded or needs minor repairs, or other items in less than top condition. These items are on-sold in bulk bales to textile companies. We ventured through another ‘do not enter’ door into the inner sanctum of the sorting facility. Here there were tall pallet racks filled with large sacks of unsorted items, piles of books, tins of jewellery, and odds and ends. All items sold have to comply with Australian legislation. For example, if an items is faulty then a customer can return it and request a refund. 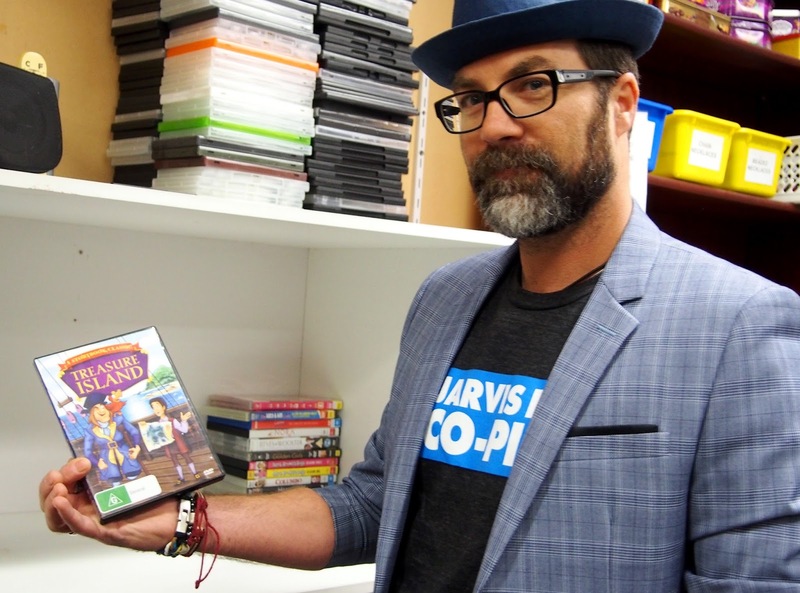 And DVDs can only be sold with the correct Australian classification. Many of the classifications have changed—for example there is now a MA15+ category—so Vinnes has a volunteer who comes in during the week to search the DVD titles online and label them with new classification stickers. I noticed a pile of crutches and walkers stored on the mezzanine level of the warehouse. Gary explained that they provide these items to customers if they ask; they do not display them as they find that some people purchase and then resell for profit. We thought we’d seen everything, but there was more. Gary took us out the back and into a large shed, where sacks of unsorted material received from Vinnies stores were kept. The shed houses anywhere between 2,500 and 3,000 unsorted bags at any time. “My aim is to ensure we have at least one and a half months worth of goods to stock Vinnies stores in storage, in case donations dry up for any reason” said Gary. The forklift drivers had a system for sorting the goods so that they are stored chronologically. And finally, there was a warehouse across the road. The warehouse held boxes of goods that had been labelled and packaged in the sorting centre. 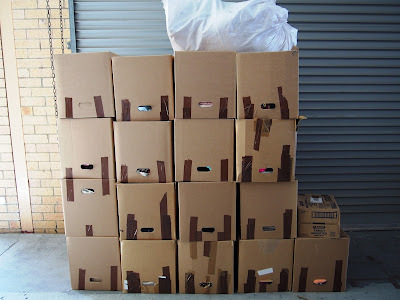 Beside the roller door was an order that had already been prepared for the Vinnies Phillip store. 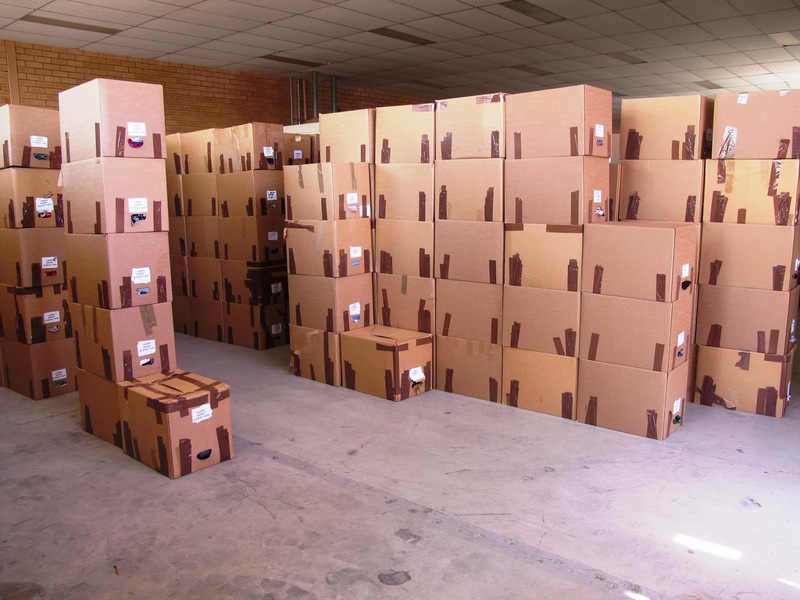 Once a store orders what it needs, warehouse workers locate the relevant boxes in the warehouse and then make a stack of them, ready to load onto the truck and transport. The warehouse also contained some furniture. 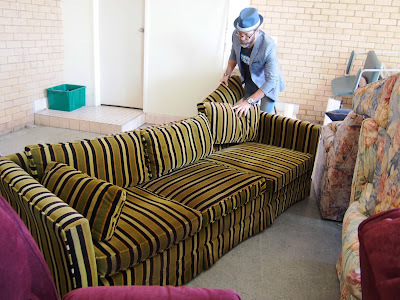 We admired a funky green-and-black-striped retro sofa, and a brown hipster-style sofa. But this furniture was not destined for Vinnies stores. 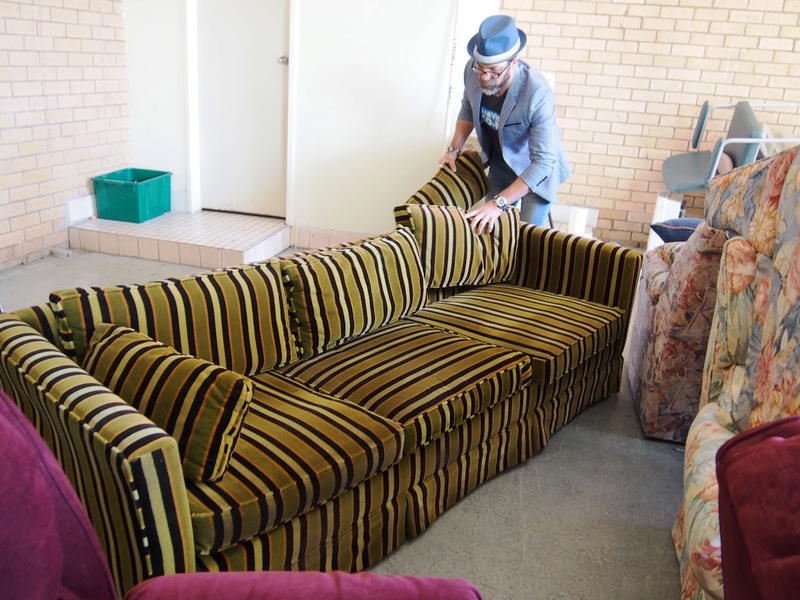 “Around 80% of our furniture goes to people in need,” said Gary. “Homelessness is a real problem in Canberra. And since most of the people we gift furniture to live in small apartments, it’s a challenge to find items that are small enough to fit.” Vinnies buys new foam mattresses to go with the beds it gives these people, to ensure that the bedding is hygienic and safe. 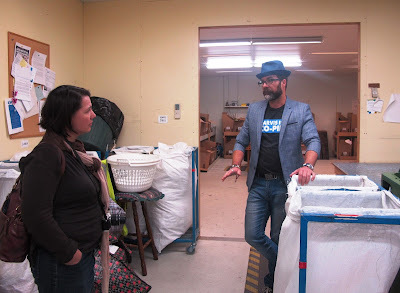 The thing that impressed me the most about Vinnies Mitchell Distribution Centre was the commitment to quality. 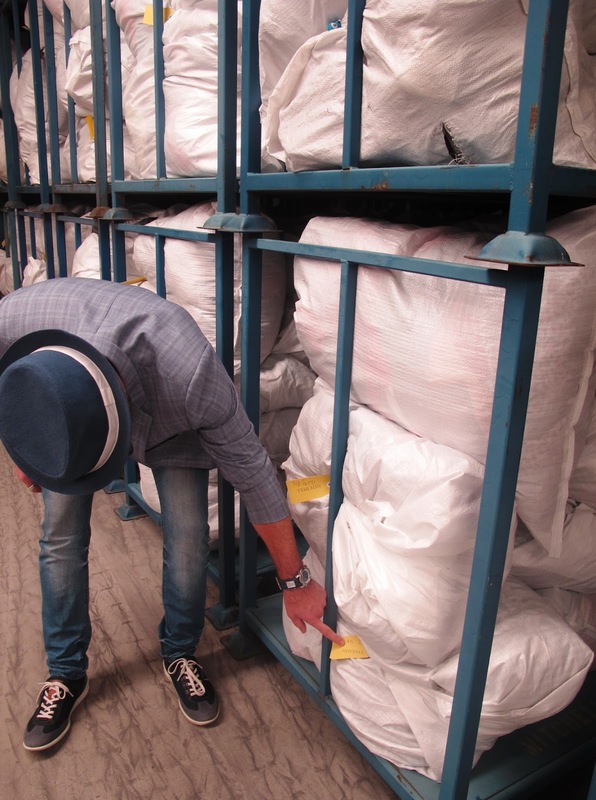 Items were treated respectfully, and a lot of care went into the sorting process. Gary emphasised that Vinnies always welcomed quality donations; and an issue for them was the cost of dealing with poor quality or damaged items. He tactfully avoided discussing the direct cost to Vinnies of dealing with rubbish that had been dumped, but from his anecdotes that was clearly a problem especially with some of the bins near suburban retail stores. 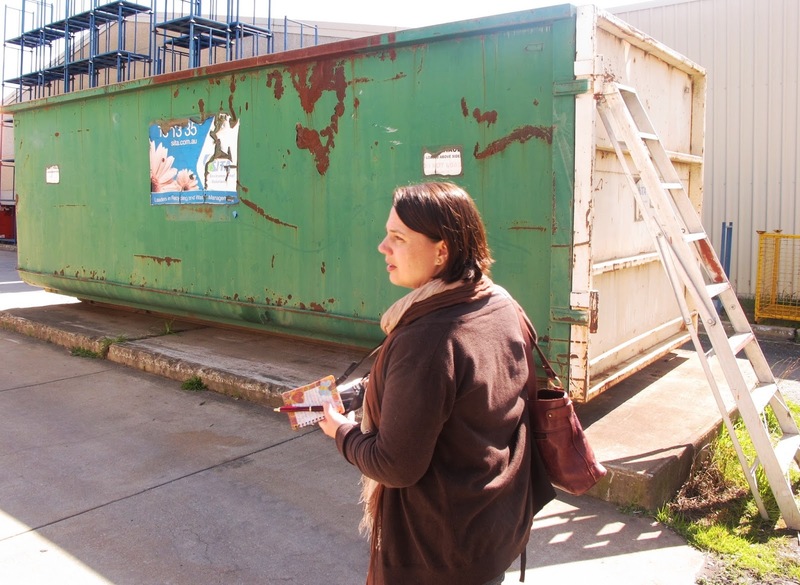 Vinnies Mitchell has a massive skip bin out the back, which it used for the large volume of damaged goods or items it was unable to sell that it received. As to how volunteers price items, Gary admitted it was a bit random. 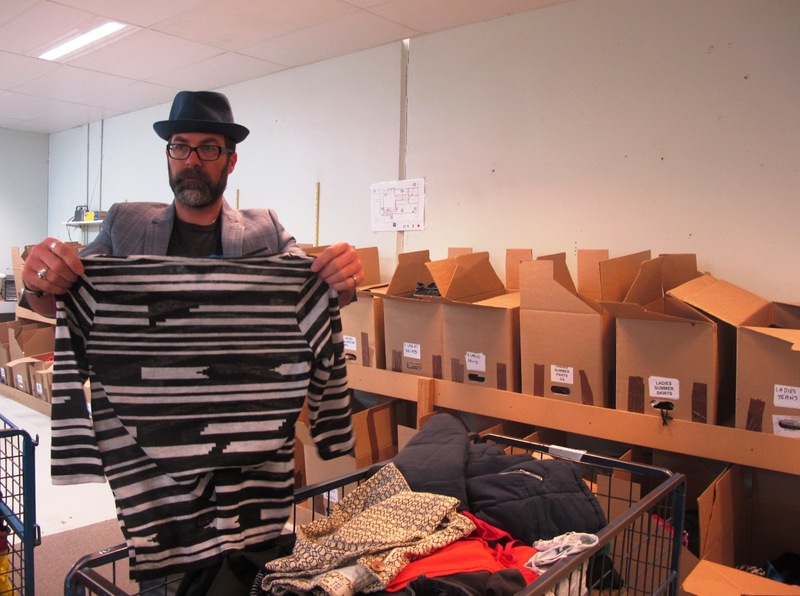 It is difficult for the volunteers to know what the items they are pricing sold for new in the shops. That said, Vinnies had some basic guidelines based on the type of item they are pricing. And if you think that staff and volunteers out the back get the first pick of the best stuff at bargain prices, think again. 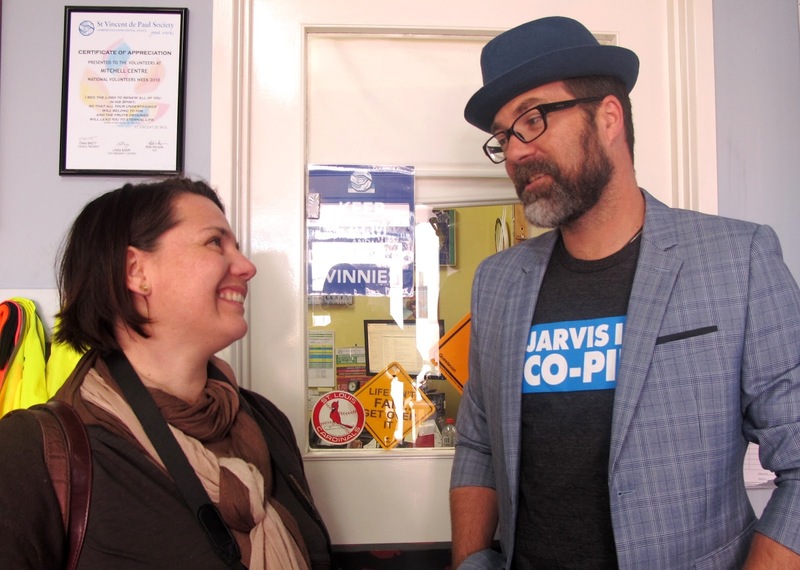 Vinnies has strict policies to ensure that managers monitor and approve purchases by staff, and that the items are being sold to them at the same price they would be sold to the general public. And Gary said that Vinnies workers were buying what you or I would buy – mid-range clothing mainly. There are still plenty of bargains to be enjoyed by everyone. Speaking of bargains, Vinnies Mitchell will be holding its annual Monster Warehouse Sale from 6 to 8 November. 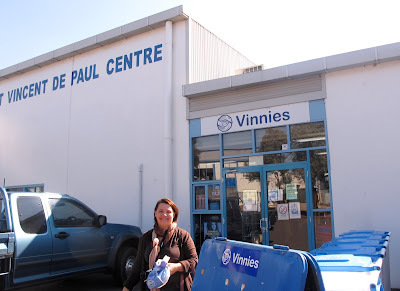 Vinnies Mitchell is located at 10 Buckland Street in Mitchell, and is open Monday to Friday 9 am to 4 pm and Saturday 10 am to 3 pm.